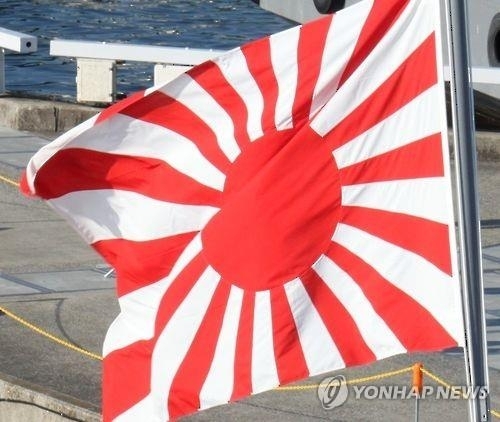 SEOUL, Sept. 6 (Yonhap) -- A Japanese warship carrying a controversial flag symbolic of its past imperialism are expected to join an international fleet review slated to take place on South Korea's southern island of Jeju next month, a military source in Seoul said Thursday. "In the Jeju event, a warship from the Japan Maritime Self-Defense Force hoisting the Rising Sun flag, will participate," the source said on condition of anonymity. "In the past fleet review, Japanese ships also carried the flag. ... (A host nation) cannot ban them from carrying the flag." In the fleet review, the U.S. Navy will deploy four warships, including the aircraft carrier USS Ronald Reagan, a source in Seoul said. The U.S. ships, however, will not stage any combined exercise with South Korea, he added. Russia will send three warships, while India and Thailand are set to deploy one and two, respectively. About 10,000 foreign navy personnel are expected to attend the event. The naval event is designed to promote harmony and world peace with the participation of naval vessels from many countries. South Korea first held the international event in 1998 to mark the 50th anniversary of its military. It has since held the event every decade.